The owners are extremely friendly and try to be as helpful as possible about everything. The free access to sleds for the kids, the ski locker that was included, and the beds for the kids up in the loft were all great. The bathrooms in our 2 apartments were recently redone and they were lovely. Friendly and helpful hosts, huge apartment, perfectly located only a couple of minutes walk from the telecabin (tip: a ski locker at the lift is worth paying for). Clean, cosy, warm and plenty of hot water after a day on the slopes! Devi is a wonderful hostess, she was so helpful and accommodating. The apartment is in a great location and it was warm and cosy. So close to the telecabin and right beside the pool facility. The staff where very freindly, a pleasure to talk to. very helpfull. the room was very warm,very clean. it was well equipped, mircowave, kettle, the fridge was very cold, there is a coffee machine in the kitchen. The beds where very comfortible. loads of waredrobe space for hanging clothes. The bathroom had a very powerfull shower and a good size bath, "be very carefull with the hot water it is very hot". There is ski lockers. There is a ski shop 50mtrs from apartment where you can hire everything. There is a supermarket was across the road and loads of restaurants around the apartments. Not far from the ski lift, Around 100mtrs. We where very happy with everything. I would recommend Llempo` Aparthotel to all my friends and family. Over all 10 out 10. Un tracte molt bo i una habitació molt agradable i neta. Un trato muy bueno y una habitación muy agradable y limpia. A very good deal and a very nice and clean room. Lovely staff, large rooms, central location. Not a bad thing to say about our stay! 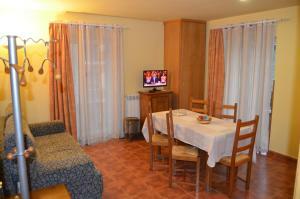 Great location, clean and comfortable with good places to eat out and activities for families. Tudo. São muito prestativos. Fica muito perto da estação de Canillo. A relação custo-benefício é muito boa para quem quer esquiar. O apto e amplo e cabe mais do que quatro pessoas. Tem estacionamento e mercado perto. 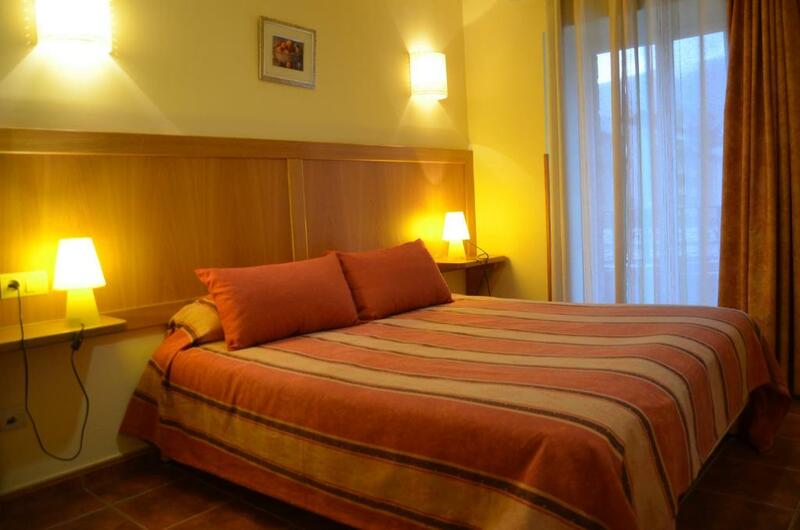 Lock in a great price for Aparthotel Llempó – rated 9.2 by recent guests! Aparthotel Llempó This rating is a reflection of how the property compares to the industry standard when it comes to price, facilities and services available. It's based on a self-evaluation by the property. Use this rating to help choose your stay! This family-run aparthotel is located in Canillo, just 150 feet from the cable car to Grandvalira Ski Resort. Guests enjoy free access to the facilities at Palau de Gel, next to the aparthotel, that features an ice rink, swimming pool, tennis and squash courts, and a gym. Offering free WiFi, these comfortable, rustic apartments and studios feature a kitchenette with a microwave. 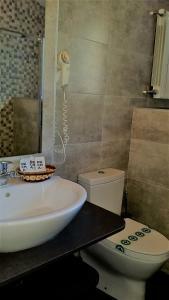 The bathroom comes with hairdryer and toiletries. The El Solà restaurant serves homemade meals made with local products. There is a choice of a set menu or à la carte meals. The restaurant's sunny terrace offers views of the Canillo Valley. This is a place to discover a range of mountain leisure activities, from skiing to adventure sports such as climbing and abseiling. There is public parking nearby. 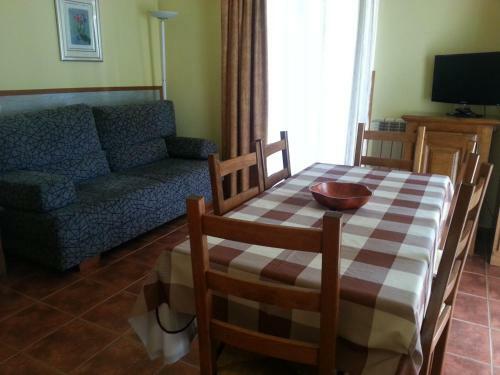 This property also has one of the top-rated locations in Canillo! Guests are happier about it compared to other properties in the area. 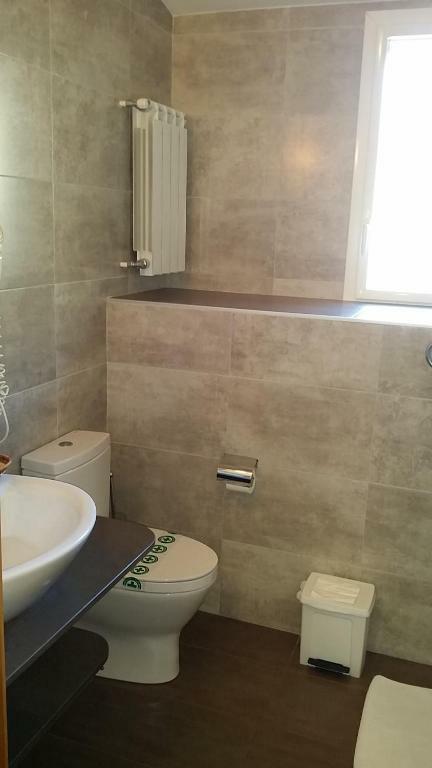 This property is also rated for the best value in Canillo! Guests are getting more for their money when compared to other properties in this city. 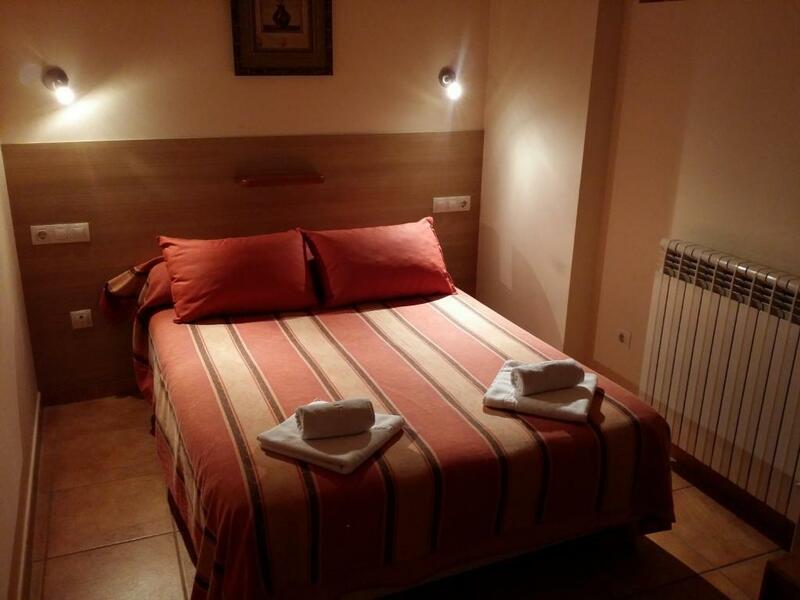 When would you like to stay at Aparthotel Llempó? This comfortable studio includes 1 double bed. It features a TV, a kitchenette with microwave and fridge and a bathroom with a walk in shower. Free WiFi is available throughout. Bed linen and towels are provided. This studio also includes unlimited access to the swimming pool, tennis and squash courts, gym and ice rink. This apartment includes 1 bedroom with 1 double bed with a balcony overlooking Canillo. The lounge area includes 2 balconies and has 1 single bed, a double sofa bed and a TV. There is a kitchenette with microwave and fridge and a bathroom with a shower. This apartment includes 2 bedrooms, one with 1 double bed of 63 in and another bedroom with 1 bunk bed. The lounge area includes a balcony, a double sofa bed and a TV. There is a kitchenette with microwave and fridge and a bathroom with a shower. Price includes entry to the swimming pool, tennis and squash courts, gym and ice-skating rink. Please note that any additional guests must pay EUR 20 per day. This comfortable studio includes 1 double bed of 55 in and a 1 single bed of 35 in, located on a mezzanine floor that is accessible though a ladder. It features a TV, a kitchenette with microwave and fridge and a bathroom with a walk in shower. Free WiFi is available throughout. This comfortable studio includes 1 double bed of 55 in and 2 single beds of 35 in each, located on a mezzanine floor that is accessible though a ladder. It features a TV, a kitchenette with microwave and fridge and a bathroom with a walk in shower. Free WiFi is available throughout. Featuring 3 balconies, this apartment includes a bedroom with 1 double bed and a single bed. There is a lounge area with a TV and a kitchenette with cooking rings, a coffee maker, a microwave and fridge. The bathroom comes with a bath tub. A daily maid service is provided for the bed, floor and bathroom. This apartment has 2 bathrooms and a sofa in the living room. This apartment features 2 double bedrooms and a bathroom with an Italian-style shower. The kitchenette includes an oven, ceramic hob and a microwave, as well as a dishwasher. This apartment overlooks an interior courtyard. In the center of Canillo, we are 150 meters from the gondola that drops you off on the slopes of GrandValira. 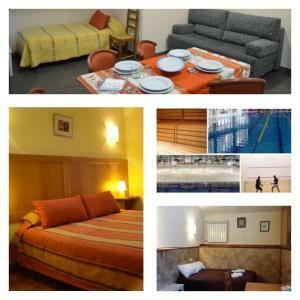 We offer you the entrances of the sports center during your stay unlimited entries to the ice rink, swimming pool, squash, tennis (summer), the gym and Fitness classes and sauna.All shops are at proximity in this pretty mountain village 20 minutes from the capital of Andorra. You will be received with a smile whatever the weather and time, and in our establishment, there is a slogan: enjoy, sit, we're here if you need. We offer you all year long and throughout your stay, unlimited entries to the sports center of Canillo. The customer is not anonymous with us, you are not a reservation number. Our Aparthotel is a simple place, with a simple decoration, but you will find a warmth, a smile, advice, bedding is good, children are welcome, pets on request (extra charge will be required), so What are you waiting for to book? 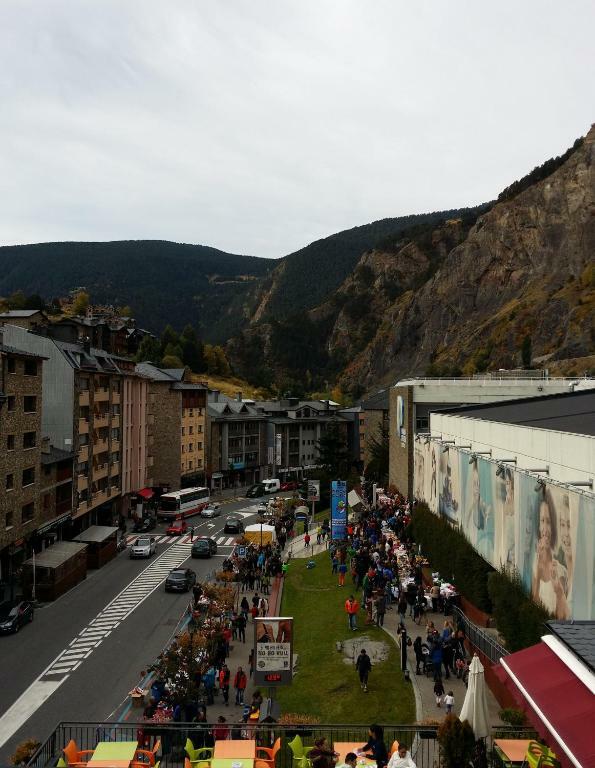 The aparthotel Llempo is located in the heart of the village of Canillo, in the Principality of Andorra, where you will find many shops. Andorra is known for the country of the tax refund, so you can enjoy to come buy a cartridge of cigarettes or a perfume enjoying a day on the ski slopes of Andorra or a walk in the summer on the many flowery paths. We are exactly meters from the gondola that serves the slopes of GrandValira. In winter it is skiing and sledding and in summer the snow gives way to an activity park open until early September. We also offer electric bike rental with a special rate for our guests. We also have partners for trekking, via ferrata and canyoning outings. So summer or winter, do not hesitate to book at Llempo Aparthotel. Guests of Aparthotel Llempo enjoy free entrance to the swimming pool, tennis, squash, gymnasium, sauna and ice rink throughout their stay, which is ideal for Après-ski with children. 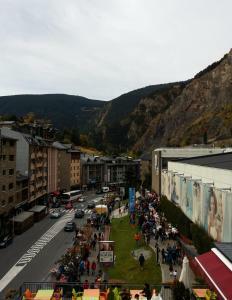 You do not know Andorra? Book with us! Attention, we only have 10 apartments! House Rules Aparthotel Llempó takes special requests – add in the next step! Aparthotel Llempó accepts these cards and reserves the right to temporarily hold an amount prior to arrival. Please inform Aparthotel Llempó of your expected arrival time in advance. You can use the Special Requests box when booking, or contact the property directly using the contact details in your confirmation. The kitchen space is extremely small. It would be difficult to do any actual cooking except for something very simple like pasta. It's useful for making breakfast in the morning, but is too tiny for meals. Would have liked a toaster in the kitchenette, but that's all I can think of. Nothing, all good! At end September it was off season so there were limited restaurants and bars open in the evening but there was always at least somewhere open.